I was searching for someone to help me break the negative cycles that had trapped me for years, using Feng Shui. My friend, an acupuncture therapist recommended Mater Pun-Yin. She came to my apartment in New York, and after one session I clearly understood how she got her reputation as a true master of the ancient art and science of Feng Shui. She exuded warmth, wisdom and an uncanny ability to analyze everything that was going wrong with my life and how to fix them. You came to our house in the first half of 2012 during a time when my husband and I were experiencing difficulties and deep unhappiness in my husband's professional life. Your in-depth analysis of our Five Elements Astrology charts and detailed recommendations of the changes in our home and our minds led us to several amazing benefits. About 3 months after your visit, your prediction of a promotion materialized for my husband. Then a month later, he left that firm and got hired at his top choice company in a more senior position. Since then, career life for my husband has taken a 180 turn for the better in terms of financial gains and pleasant colleagues. Additionally, the changes we made in our home have created a very warm atmosphere that our guests always compliment it as cozy with a sense of positive energy flowing. One of your main recommendations was also to have a baby. We took your advice and really tried to have the baby in the year of the Horse as you had mentioned would be most beneficial for us. We had a beautiful baby girl just making it in time to be within the year of the Horse. My husband and I are very excited about this new phase in our life and we truly believe you have helped us to reach this point. “I recently (past December) invited Pun-Yin into my life to help with a little energy issue. Turns out her Feng Shui service is far more than that. I had my chart done along with a home consultation. The insight she gave me into my world and my mind were amazing. I quickly got to work on all the changes with a deadline of today, Feb 3rd, to complete them. Within the first couple of weeks I noticed an increase in my physical engery and most of all a better mental attitude. I also gained some amazing clarity about where I am and where I am going. Now, on the day of my deadline, I am 95% complete of all items (honestly- would have been easier to move- but worth the work). I am feeling 100% better and just amazed at how my home feels now. Whether it be the fact that I have more energy or the change in the energy flow I am not sure, but I found that I all of a sudden had the drive to do some things I had been thinking about for a long, long time. The shift in emotional and mental attitude is ongoing and positive. Keep in mind, it is not just move a chair and then wha-la… money here or problems gone:) – it is about (for me) how your energy changes and body and mind align so you can make your life what you need. “We are extremely glad we contacted Pun-Yin back in late 2010. We felt extremely comfortable with Pun-Yin right from the start; it was as though we had known her for a long time. Pun-Yin has an exceptional knowledge of Feng Shui and her pleasant demeanor in her delivery of advice facilitated our openness with her. “The advice of Feng Shui Master Pun-Yin has been so profound, relevant and personalized! My personal and professional life changed from chaotic to very balanced since I worked with her a few months ago. She lives up to her reputation and publicity. I completely understand why she has so many loyal clients. She has helped me balance not only my office and home environments, but my consciousness as well: I’m able to think more clearly about my goals and come up with better strategies to reach them. I was researching Feng Shui for a long time and I now see that the books I read before gave only vague and general information that I was not able to really make important changes with. I kept searching to find a real master with real training & a track record that I could verify. Even though I had an intuition of what I wanted, until I worked with Master Pun-Yin, I could not imagine how great a difference the insight of a real master would make in the actual results within my own life. The power of authentic Chinese Feng Shui is, in short, AMAZING! Having a GREAT Feng Shui Master like Pun-Yin on my side gives me the competitive edge I desired. The only Feng Shui Master I trust. “Three years ago I invited Master Pun-Yin to come to St.Louis MO. After she did the Feng Shui prescriptions and I made the changes I quickly felt healthier emotionally, physically and energetically. A legal matter that had weighed on me was resolved favorably, our stock investments became profitable, various business challenges turned around and to our amazement our business has been doing better than ever even in this very challenging economy that has hurt the majority of businesses. “Pun-Yin is a truly transformation consultant that brings more to a business than moving around furniture. Her comprehension and knowledge of organizational behavior, executive leadership, strategic management, and business fundamentals make her indispensable to any organization wanting success. Her mastery of Feng Shui is profound in that she is rooted in the traditional practice and is able to apply her proficiency to the modern business environment. I was lucky to work on a new office project with Pun-Yin and was amazed at how rapidly she was able to diagnosis and provide solutions to the primary business problems. Pun-Yin helps you get out of your own way, if you apply her wisdom. “I have found somethings in this life are beyond our understanding and, for me, I have made decisions that are not right for me, but I still made them not knowing any better. How many of you can say the same for yourself? I heard of Pun-Yin’s track record and reputation when I was faced with a difficult decision. I made a choice, foolishly, to buy into a business opportunity, but Pun-Yin advised me that particular path at this point in my life was not suited for me, rather I should focus on a Healthcare career which was better aligned with my nature. I chose to listen to her wise counsel canceling business opportunity and stay focused on Healthcare. This was not easy for me, however, afterwards, I felt better and more certain the way forward will open up for me. Even now, where I am typing this testimonial is in the place in my home that Pun-Yin suggested I work on my job search from to get the maximum results. What Pun-Yin can offer you cannot be obtained in a book, a DVD or a weekend seminar. She customizes a solution for you based on YOU. What I had to do was get past my own feelings of disbelief and pride of getting in my own way because there was a better way, if I just trusted and applied Pun-Yin’s wisdom. I experienced this for myself and that is why I am happy to write this testimonial. This is not magic or science fiction and I am trying my best to write it in simple, practical terms. 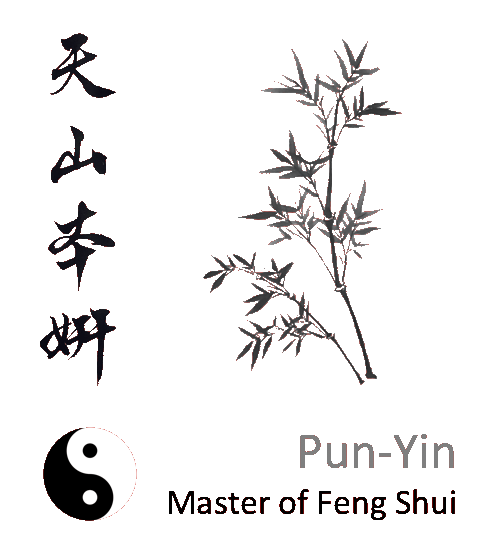 Pun-Yin has had special training and experiences which can decipher ourselves and aspects of our environment which can help support us in the best possible way. Master Pun Yin’s Feng Shui Changed My Life!